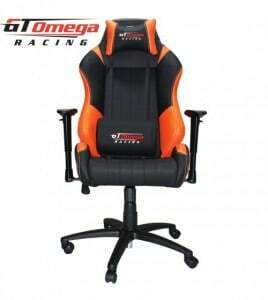 We have got a treat for you guys today, we have teamed up with GT Omega Racing to give you guys that are looking at buying one of these amazing gaming office chairs and get a discount just for doing it. 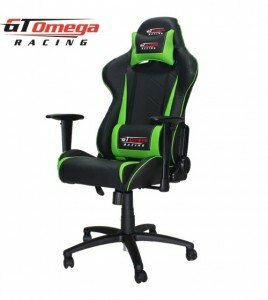 We have managed to talk them into giving us a 5% off promo code that ANYONE can use to buy ANY chair or racing cockpit that GT Omega racing has on their website. All you have to do is just use the code MODDEDUK at the checkout after you have decided which chair and colour you want and that is it, no strings, no sign up’s just type in the GT Omega Discount code MODDEDUK and you will get your discount applied. If you need any reason to buy one of these chairs, which in my opinion are one of the best gaming chairs on the market then you should check out our review of the GT Omega Racing Pro Office Chair. So what are you waiting for, head over there now and check out the chairs and use this discount code now! Don’t hide it from your friends as well, tell them all on Facebook and Twitter so everyone can enjoy this amazing discount. 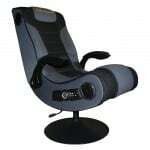 Whether you are looking for a sleek, stylish, and comfortable chair for your office at home or work, a comfortable but functional gaming chair, or a simulator cockpit to satisfy your inner racer, GT Omega Racing has what you need. There are several things that set this company apart from its competitors, including the quality of their chairs, the wide selection of colour options they offer, and the customisable features that come with each chair. When you buy from GT Omega Racing, you can feel assured that you are receiving a quality product. Some of the materials you can expect to find include real leather, breathable mesh fabric, black powder coated steel, adjustable armrests and headrests, and more. You do not have to worry about your chair rusting or breaking with time because it has been designed to last. Another great thing about the GT Omega Racing company is that they offer a wide range of colour options for every chair that they offer. Unlike most companies that offer a few standard colours, GT Omega offers 10+ colours for many of their lines. They even offer colours like pink and purple for their chairs, so you know they appreciate the female gamer as well! Another thing that sets GT Omega apart is all of the features that come with their chairs. We will go into more depth in the next section, but you can expect to find an option of chair materials, included removable headrests, cup holders, adjustable armrests and wheel stands, and so much more. All of these features aim to maximise your comfort level or offer you convenience. Additionally, a lot of features are optional, so you don’t have to pay for what you don’t need! 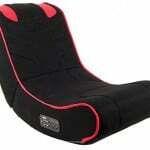 Here, you can find information on some of the most well-known chairs in the GT Omega line. 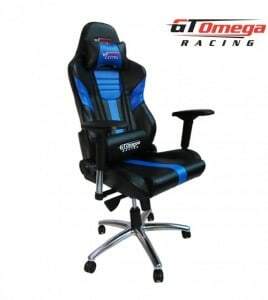 Some of the most popular lines that GT Omega Racing has is their PRO, MasterXL, EVO and SPORT office chair lines. These are great for home or commercial use and are perfect whether you are trying to get some gaming done or focus on your work. Each chair is ergonomically designed and comes with an adjustable height and armrest, and a removable pillow for the headrest and lumbar support, so you know that they take your comfort (and the health of your back) seriously. You will not be disappointed with this comfortable chair, but you will also not be disappointed with the cost. Unlike many other companies, GT Omega offers many of its designs for larger players. A chief complaint among larger gamers (or office workers) is that they cannot find a chair to fit their body just right. 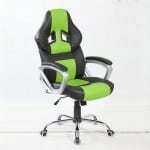 GT Omega has a MASTER XL chair and an EVO XL chair that have a significantly wider design and a larger weight limit than many other popular designs. Like their other lines of office chairs, they are ergonomically designed with the health of your back in mind. They also come constructed of high-quality materials in a wide range of colour options. These are designed with the racing fan in mind, though they are comfortable regardless of the game you are playing. These are designed to simulate the feeling of a real cockpit, with a reclining racing chair and the ability to link up to any number of pedals, steering wheels, and throttles. 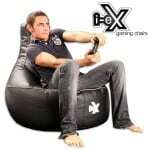 They offer you the most out of your gaming experience- in style and comfort. Another great thing about GT Omega racing simulator chairs is that they come with optional floor mounts, keyboard tray, and gear shifter mounts. 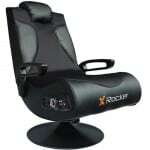 When you spend money on a gaming or office chair, you want to be sure you are getting something that will last. When you choose GT Omega, you can be assured that every chair you purchase is made with the highest quality materials to last for years and years. We have managed to get hold of a nice GT omega racing Voucher code for you guys, just use code MODDEDUK in the checkout to save.